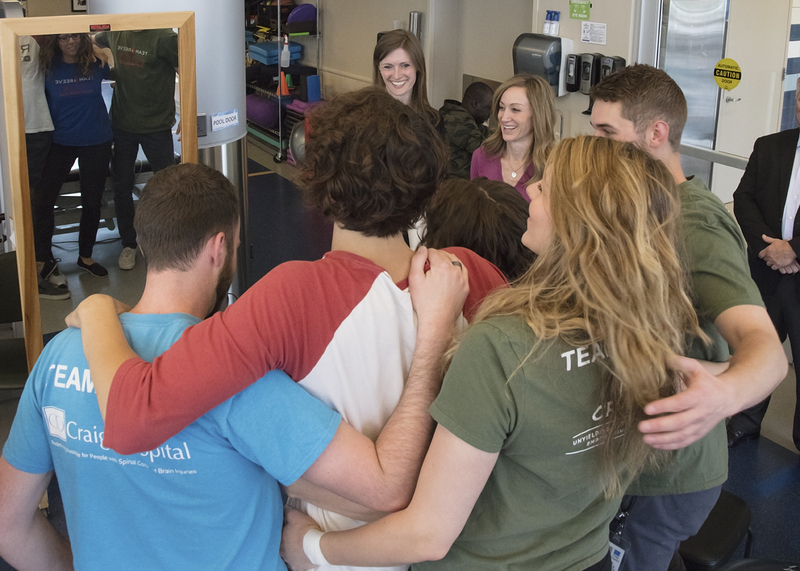 Alexandra Reeve Givens recently toured Craig Hospital as part of her involvement in the NeuroRecovery Network (NRN), which does research around therapies for people who are living with paralysis. Her parents’ foundation, the Christopher & Dana Reeve Foundation, funds the NRN program. 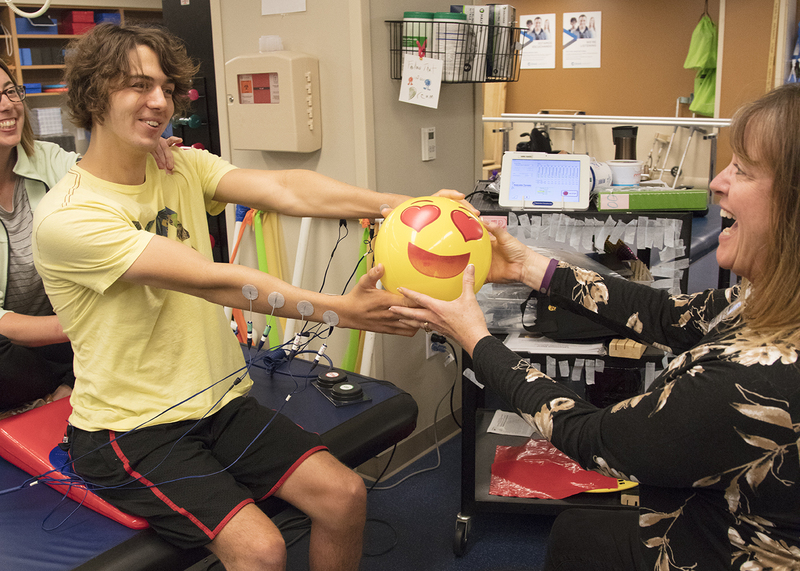 Patients in the NRN program at Craig participate in a variety of intense sessions including Locomotor Training, which are treadmill activities (stepping and standing) and functional mobility training with a physical therapist and/or Neuromuscular Electrical Stimulation (NMES) with an occupational therapist. Patients also focus on functional mobility training, which may include transfer training, joint mobilization, stretching, core stabilization exercises, standing, and/or gait training, to name a few. 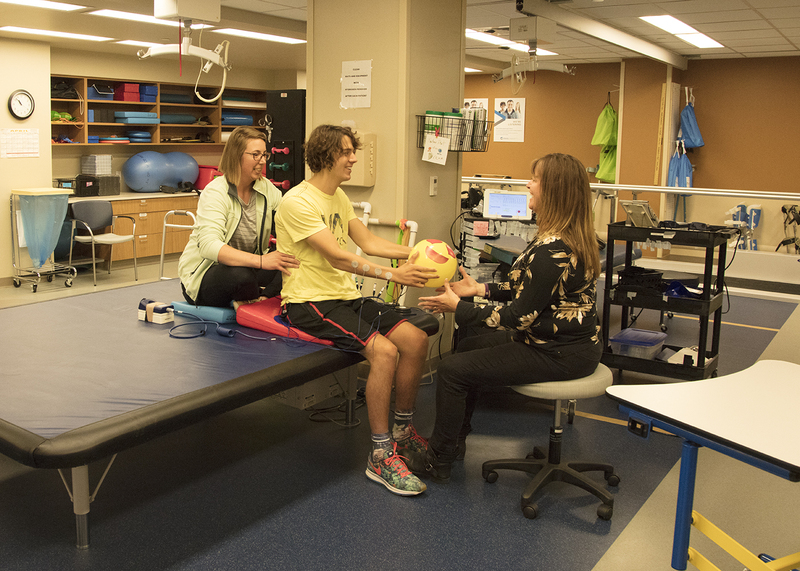 As part of research for the NRN program, patients are re-evaluated every 20 sessions based on outcome measures. If functional progress can be demonstrated, the patient will be seen for another block of 20 sessions. Reeve is a strong supporter and advocate for people who have sustained spinal cord injuries. She and her two siblings serve on the board of the Christopher & Dana Reeve Foundation, which is dedicated to curing spinal cord injury by funding innovative research, and improving the quality of life for people living with paralysis through grants, information and advocacy. Reeve impressed with what she saw at the Peak Center at Craig including the two pools, treadmill walking therapy, bikes, Exoskeletons and more. 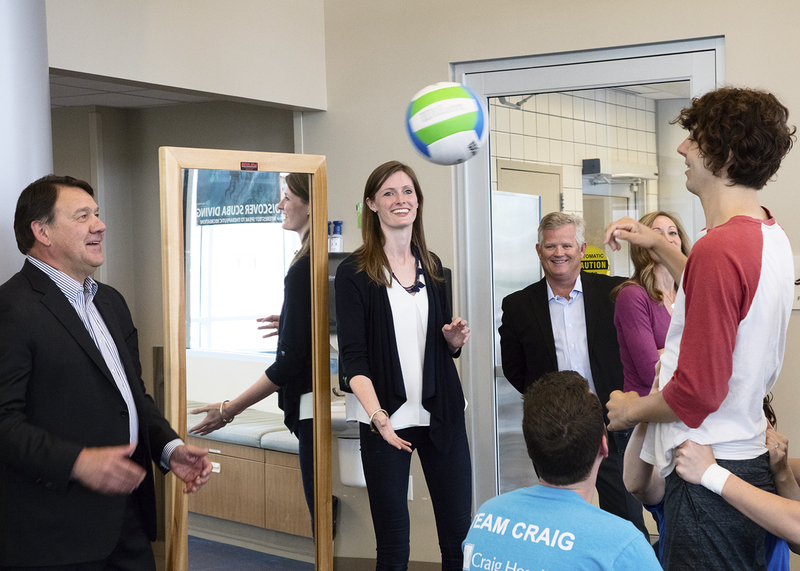 She is supportive of the whole spectrum of activities for people to participate in as they progress throughout their time at Craig, including peer mentoring and therapeutic recreation programs.